I love Swagbucks. When we were preparing for our first baby, it and other rewards sites, basically built our entire diaper stash. (see Irazoo vs. Swagbucks for more on other rewards sites). Swagbucks helped keep me from going insane when we were dead broke, and had no spending money whatsoever. 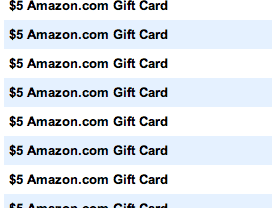 That $5 gift card every couple weeks seemed like a wonderful luxury. We may not be broke now, but those free gift cards are sure still handy for things like funding the occasional date night, or a splurge item like expensive (but oh-so-delicious) maple syrup. Really, it doesn’t matter how much money you have. Why would you pass up on something as simple as getting paid to “google”? But while we all think of Swagbucks primarily as a search engine, there are lots of other great ways to fill your virtual pockets. Daily Poll. You get get one swagbuck per day by answering the daily question. It’s easy and fast, and personally, I only do it if I’m already on the site for some reason anyway. Shop and Earn. 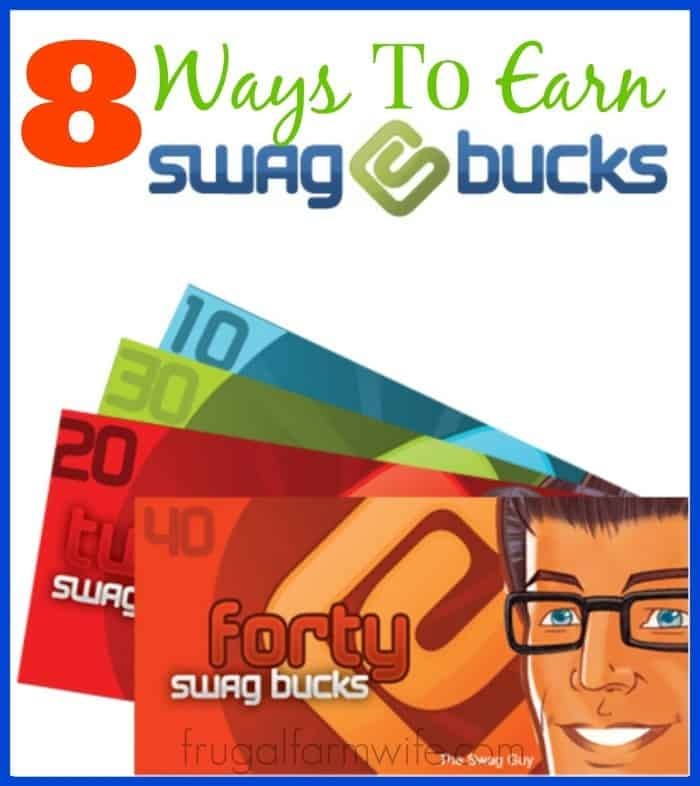 You can earn 5, 10, or even 25 swabucks by shopping through Swagbuck’s affiliate link on popular sites like Amazon, and Walmart.com. Print Coupons. When you print and redeem coupons from swagbucks, you earn 10 swagbucks. That’s like another 10+ cents off of whaterver you buy! Referrals. You can invite your friends and family to sign up for Swagbucks through your unique referral link, and earn 10% of whatever they earn Pretty sweet deal! Once you get started with earning Swagbucks, you’ll get addicted to making free money, and the rewards will start piling up. Whether Starbuck gifts cards are your guilty pleasure, or ordering goodies on Amazon. There’s no doubt, it’s well worth your time! I know it may sound crazy that someone would pay you for doing things that don’t cost you anything, but the way it works is very simple. If you shop through them, or print coupons through them, they earn an affiliate commission, and are simply giving some of that back to you. If you watch their videos, or answer their polls, etc. they get an advertising fee from the ads they run. It’s not scammy, it’s just the way the internet works! So if you haven’t signed up yet, do it! You’re missing out! But before you leave, tell me this: What’s your favorite way to spend Swagbucks?